Dr. James H. Kelly, age 74 years old and former chairman of Greater Baltimore Medical Center’s Department of Otolaryngology, passed away on February 8, 2018 of complications from cancer at Gilchrist Hospice Care in Towson, Maryland. Dr. Kelly was inducted as an Active Fellow of the ALA in 1998 and in 2012 was elevated to Emeritus status. Born in Savannah, Georgia, Dr. Kelly also lived in Cheraw, South Carolina as the son of an Episcopal priest and homemaker, Rev. John L. and Kathryn Kelly, respectively. 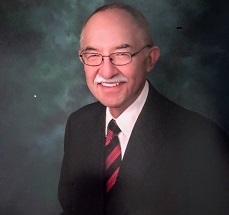 He completed his undergraduate studies at the University of Georgia, and received his medical degree in 1968 from the Medical University of South Carolina. His surgical internship and first year residency was completed at Vanderbilt University Medical. Following this training, Dr. Kelly served our country in the military as a captain with the Army Reserve Otolaryngology Service from 1968 to 1971 at Tripler Army Hospital in Honolulu where he treated wounded soldiers who required specialty surgery. For the next two years, he served in a similar capacity as a major at Madigan General Hospital in Tacoma, Washington and at Fort Hood Army Hospital, Texas, from 1972 to 1973. Dr. Kelly entered private practice and as an emergency room staff member at Bradley Memorial Hospital in Southington as well as the Meriden-Wallingford Hospital in Meriden, Connecticut from 1973 to 1974. In 1974, he completed a residency in otolaryngology at the Massachusetts Eye and Ear Infirmary at the Harvard Medical School in Boston. Prior to establishing what is recognized as a very distinguished medical career, Dr. Kelly held positions at numerous facilities included the MA Eye and Ear Infirmary, Harvard Medical School, Beth Israel and Brigham & Women’s hospitals all of which are in Boston.  He also established the Joint Center of Otolaryngology, a private practice, with several colleagues, and was a consultant at the Sidney Farber Institute in Boston. In 1987, he was appointed chairperson of Otolaryngology at the Greater Baltimore Medical Center (GBMC) and served in that capacity until his retirement in 2011. During his tenure at GBMC, the otolaryngology program was named as national best by U.S. News & World Report. Among his many accomplishments, he developed cleft palate and cochlear implant programs, established a facial reconstructive clinic for children with cleft palates, and brought Hopkins head and neck surgery faculty to GBMC, where they were able to collaborate with their counterparts. For relaxation and spending time with family and friends, Dr. Kelly was an inveterate fly fisherman but also enjoyed playing tennis, cooking international cuisine and reading spy thriller and detective novels. Dr. Kelly leaves to cherish his memorial, his wife, Jane Hill; two sons, James H. Kelly Jr. of Boston and Alexander Kelly of Canton; a daughter, Erin Tilghman of Winter Haven, Fla.; siblings, William David Kelly ( Brooklet, GA), John L. Kelly (Charlotte, NC), Kelly Fields (Athens, GA), and three granddaughters.